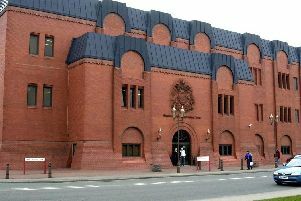 A fraudster who used false ID documents to withdraw thousands of pounds from Wiganers' bank accounts was jailed yesterday in London. Julian Mabbutt, from Northampton, pleaded guilty to 15 counts of fraud ar Inner London Crown Court, with a further 65 offences taken into consideration. Between March 2015 and August 2018, the 48-year-old entered over 80 banks and building societies in Wigan and across the UK and used fake ID documents to withdraw money from customers’ accounts. The fraudster obtained counterfeit passports and driving licenses displaying the names of account holders but featuring a photo of himself. The fraudster targeted banks and building societies up and down the country including in Wigan, Mansfield, Leicester, Darlington, York, Blackpool, Nottingham, Stafford, Grantham, Lincoln, Scunthorpe, Hull and Peterborough. Mabbutt was sentenced to three and a half years in prison.